"Wow! 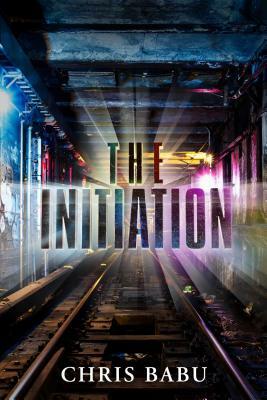 The Initiation has got to be one of the best books I think I've ever read." "This is one to remember... This book has very intelligent writing, great character growth and can get very emotional. I recommend this one a lot." "An adrenaline filled and suspenseful dystopian with a penchant for capturing Drayden's emotions on the loss of his mother and the subsequent difficulties he faces. A masterfully written tale that will be liked by fans of Divergent and Warcross." "If you are looking for a Hunger Games / Maze Runner type of book, I truly believe you need to pick this book up." "I went into this book knowing next to nothing, so I wasn't sure what I was getting into. That said, I'm so glad I did! I ended up loving this one!" "If you like books like Hunger Games and The Maze Runner you will love this one!... this is a great read and I can't wait for the sequel!" "The Initiation is a hell of a ride..."
"Awesome premise, excellent writing, and wonderfully developed characters." "A gripping, mind-blowing, brilliant book that makes you think while at the same time delivering a fantastic story." "Teachers and parents might well consider suggesting that this literate and suspenseful book be included on middle school and high school curricula." "Fans of Joelle Cherbonnneau's The Testing will love The Initiation. From the first page, Babu writes with action-packed ferocity, never stopping for a second...I could not stop turning the page."